The Mya Vortex stands 22" tall and features a smart threaded base-shaft connection for an air tight seal every time. The base has a super wide bottom which makes the Vortex one of the sturdiest hookahs on the market.. As with all Mya Saray hookahs the shaft is made of stainless steel and is built to last. 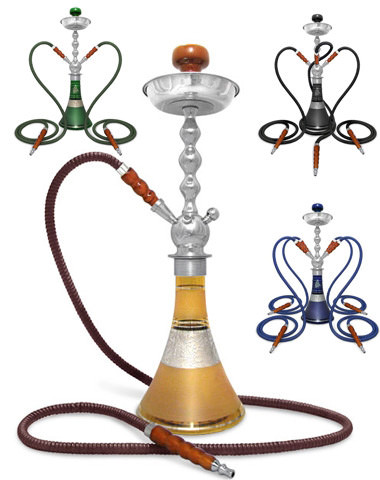 22" MYA Vortex Hookah has a average rating of 0 stars out of 5 stars based on 0 reviews.